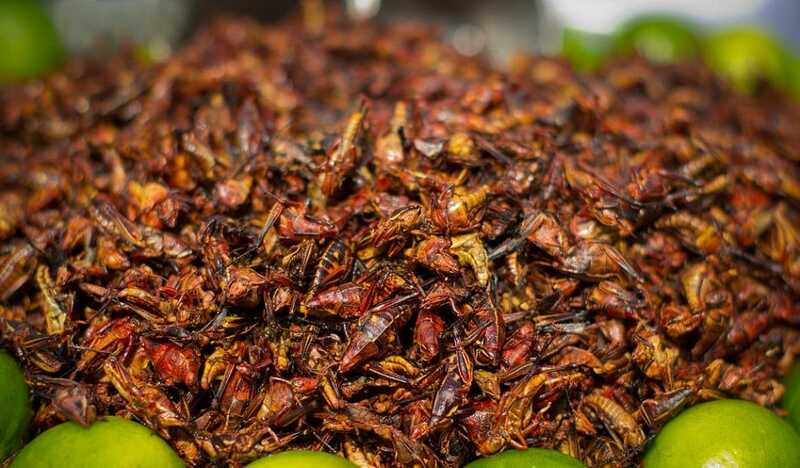 In Mexico, grasshoppers are roasted with chile and lime and are known as chapulines. They are high in protein and calcium. Other ways to prepare them include: dropping them into a boiling broth, cleaning them off, and rolling in a mixture of flour, coriander seeds, garlic and chili powder. Then deep-fried. Pan-frying is another option, and they are described as “crunchy, tasty and sweet” when mixed with caramel and sprinkled into a meringue. But they do get stuck in between teeth.